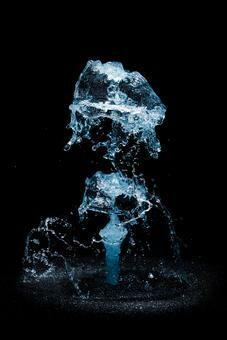 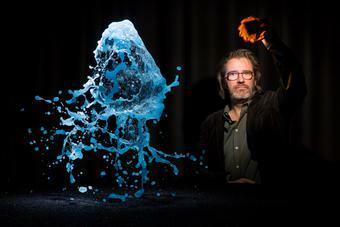 Water, dyed blue and illuminated by a strobe light, is pumped up before the viewer in quick bursts. 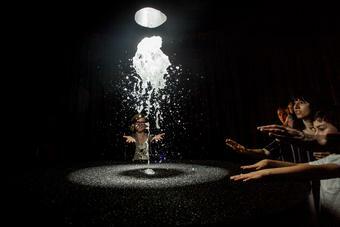 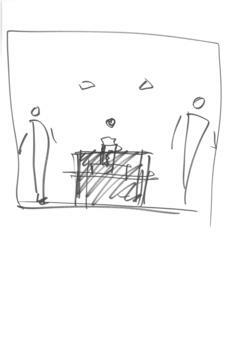 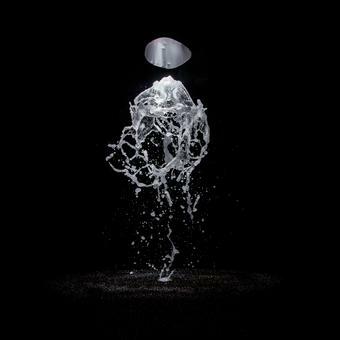 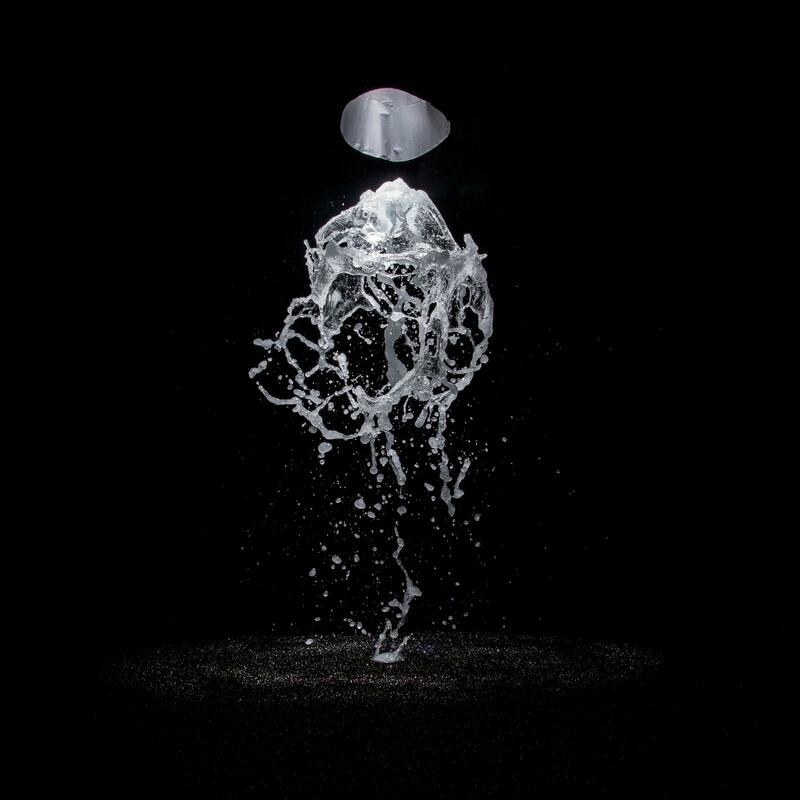 The strobe light catches the bursts at the apex of their trajectory, freezing them in the frenzied and globular form they take at the instant before they are pulled down by gravity. 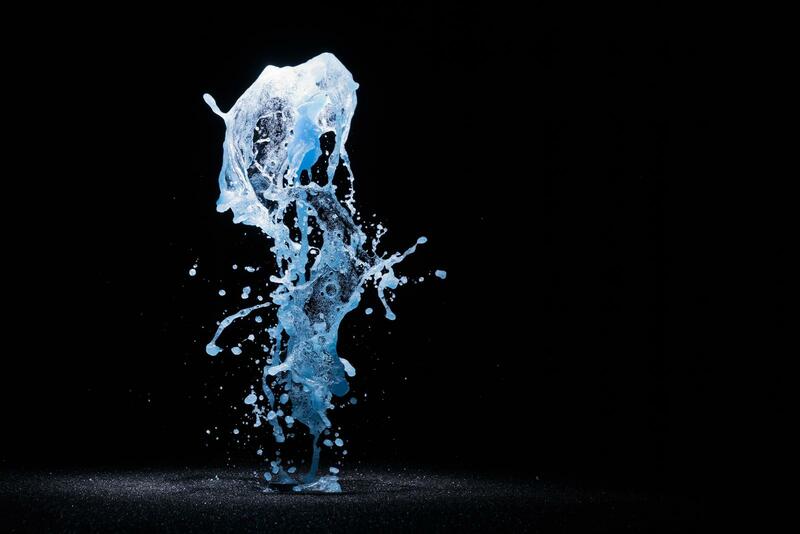 Rather than experiencing the entire arc of the water, viewers can only glimpse the final moment of each burst’s upward motion, a mesmerising series of abstract forms. 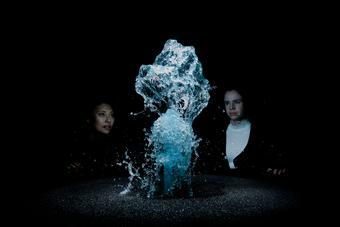 The fountain is housed within a black, circular room, to create a completely dark space against which the contrast of the strobe-lit water is made even more striking.